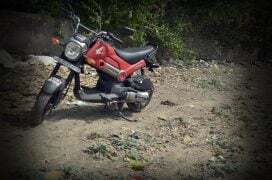 It’s a bike. . . . it’s a scooter. . . .no, it’s the Honda Navi! The new Honda Navi is nothing like anything we’ve seen in recent times. 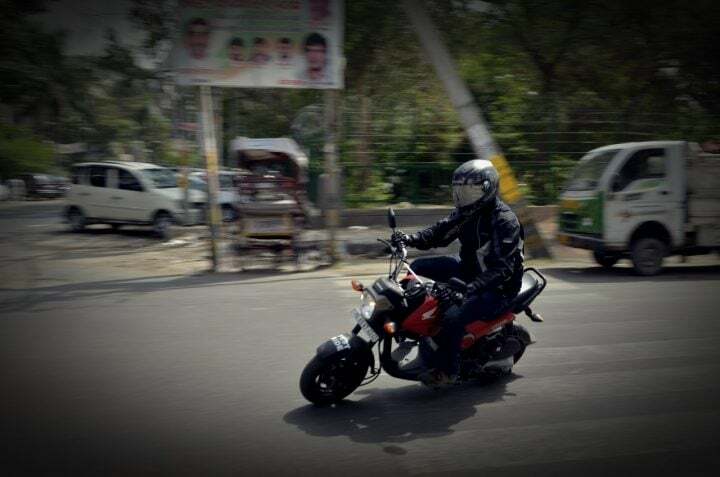 Yes, it’s a product that breaches the convention; it’s a two-wheeler that ventures into the uncharted- the Honda Navi is not just another of those piddly 100-odd cc automatic scooters, no, not at all. What we’re actually looking at here is currently a ‘one-of-its-kind’ machine that looks poised to create a niche for itself. Call it a reincarnation of the Rajdoot ‘Bobby’ GTS or a misinterpretation of a modern-day ‘gear-less’ scooter, but one simply can’t ignore this new Honda vehicle. 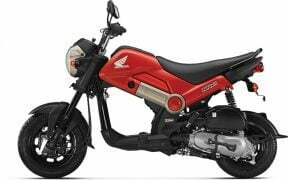 So, are we looking at yet another success story by the good chaps at Honda Motorcycles and Scooters India? 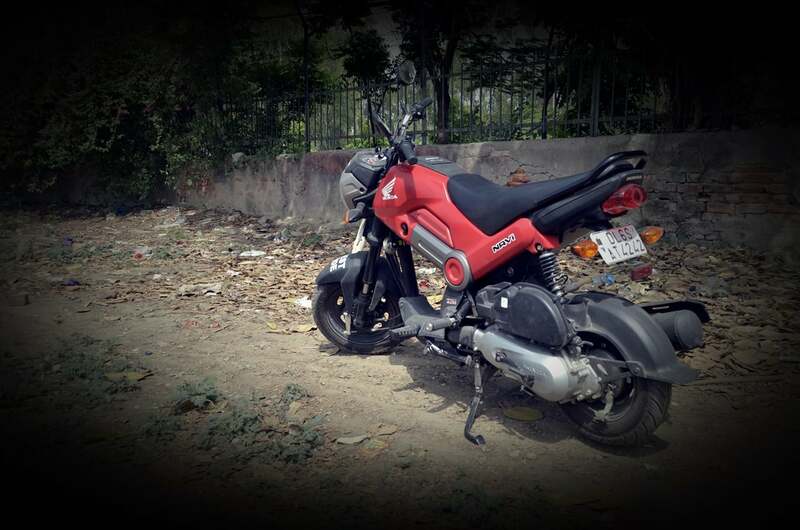 Here’s our Honda Navi bike review for full details. Ok, let me admit it, the Navi isn’t the prettiest of the sights. It’s a design that grows on you and while you might still get used to the oddball proportions, there’s no running away from the fact that the Navi won’t pass off for a conventional motorcycle or a scooter. However, it’s the quirkiness of the Navi’s design that makes it all the more special. Honda has taken a minimalist approach to Navi’s bodywork. The tank and the side panels are all a part of a single-piece fibre panel that is complimented by black-painted engine, suspension bits and exhaust. Honda has ransacked its parts-bin and you can find a decent amount of parts-sharing with other Honda products. The taillamp, for instance, comes from the now defunct Honda Stunner. One of the highlights of the design is the gap underneath the fuel tank. 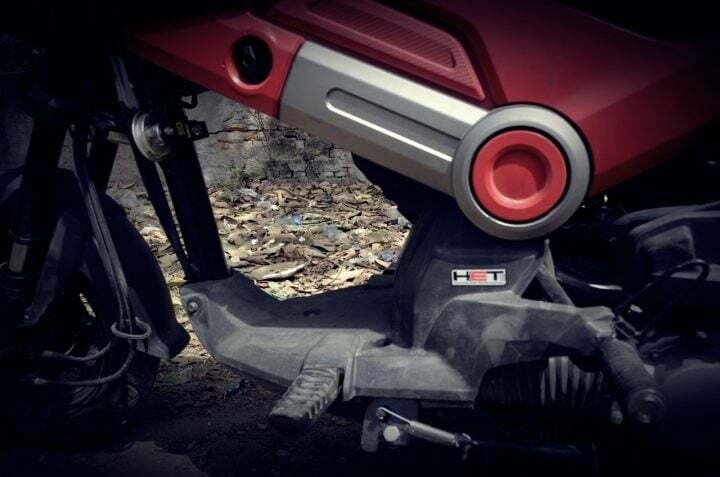 This gap, believe it or not, provides clever luggage-carrying solution and hence plays a huge role in enhancing the Navi’s stowage capacity. 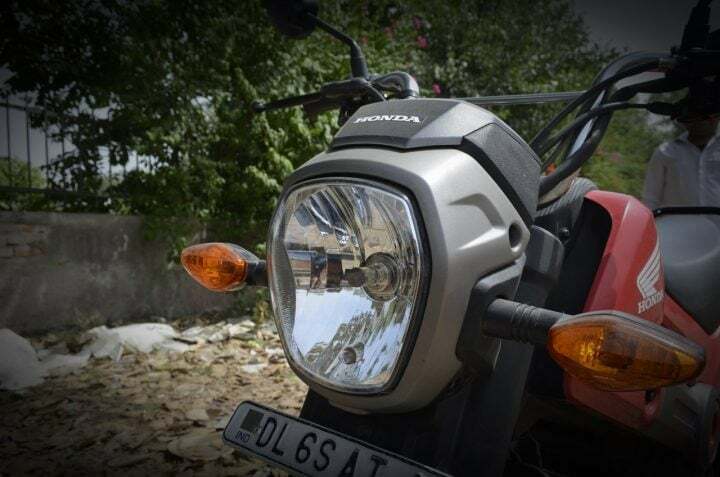 There are many other rather interesting styling bits too, like the plastic strip running over the fuel tank and the bold headlamp that gives the Navi a bold front facade. Like we said, it’s the quirkiness of the Navi’s design that makes it so special. There’s nothing extraordinarily exciting or ground-breaking about the design, but it’s the way all the design elements come to together to bestow a distinct identity upon the Navi that makes the design so interesting. Well. . . .at least not fast enough to fuel your boy racer dreams. However, the Navi gets Activa’s 110cc single-cylinder engine, which means it’s no slouch either. The motor pumps out a max. power of 7.83 hp, which combined with Navi’s lighter kerb weight, translates into a considerably zippy performance. Thanks to a sufficiently potent engine, low weight and compact dimensions, it gets rather easy to zoom past most of the traffic. 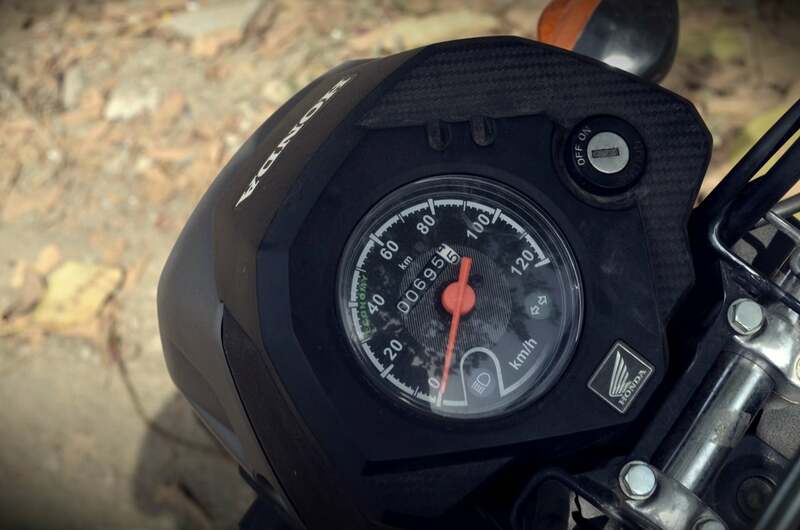 We achieved a speedo-indicated top speed of 85 KMPH, which is pretty good for a rather minuscule bike with just 8 PS of peak power. Akin to the Activa, the engine comes mated to a V-matic CVT transmission. In a manner typical of Honda bikes, the Navi’s engine is refined and offers a smooth experience. 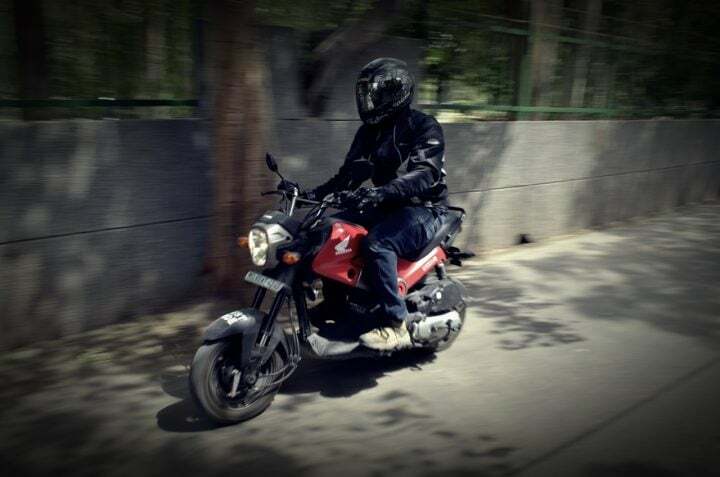 Again, it’s not much different from what you get on the Activa. A lower kerb weight ensues a slightly higher fuel efficiency, with upto 47 KMPL achievable under normal riding conditions. However, unlike the Activa, which gets a 5.2-litre fuel tank, the Navi gets a considerably lesser fuel carrying capacity of 3.8-litres. 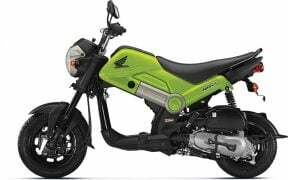 The Honda Navi gets Telescopic forks upfront and a single-side Spring Loaded Hydraulic suspension setup at the rear. Thanks to its really low kerb weight and ‘neutral’ suspension setup, the Navi turns out to be a really nimble machine which, further aided by its compact dimensions, makes it a child’s play to cut through the traffic. The lightweight makes it really easy to flick this bike into the corners. However, the considerably short wheelbase and small wheels don’t aid stability. It maybe noted that the Navi gets a longer seat than the Activa. However, the rider sits in a manner that seating two full-grown adults could be a squeeze. Otherwise, the seat is well bolstered and is suitably wide. The ride quality is decent even on the rough roads. However, it gets slightly jarring over big undulations. It needs to be kept in mind that the Navi is a small bike that has a small wheelbase and tiny wheels. All this means that at high speeds, undulations do threaten to unsettle it. The Honda Navi gets drum brakes on both the wheels. 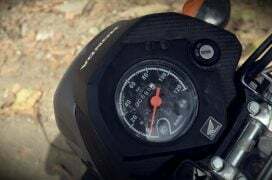 The brakes have decent bite and a low weight ensures that the this bike is pretty quick with shedding speed. Yes, a disc upfront would have done a better job but the drum units are pretty adequate, seriously. The Navi isn’t perfect. For starters, it doesn’t have the comfort or the convenience of a regular scooter. Also, a small size with lightweight construction has its own drawbacks. Finally, it doesn’t exactly provide a ‘motorcycle-like’ experience when ridden hard. So is the Honda Navi a case of confused identity? No, not at all. The Honda Navi is a well thought out, albeit unconventional, product that could soon create a niche for itself. While the Navi has some chinks in its armor, it still makes for a practical personal mobility solution. Furthermore, a gazillion customization options and a low price of less than INR 40,000 (ex-showroom, New Delhi) make the Navi a really attractive proposition. The Honda Navi makes perfect sense for youngsters who need a stylish and a fuel efficient personal vehicle. Stay tuned to Car Blog India for more on the Honda Navi. Also watch this space for more posts like the Honda Navi bike review we have here.